I feel good about the recordings I did. I feel uncomfortable because naturally I can say the lines better if I was really feeling that way in the moment but when being assigned to it’s different. My comfort level would be a 5 out of 10 because I wasn’t used to talking with tone and inflection behind it. 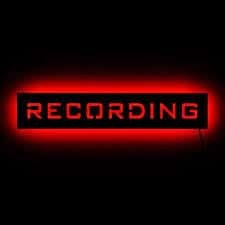 Audio Recording by Stasia is licensed under a Creative Commons Attribution-ShareAlike 4.0 International License.